Are you working with XO laptops that need an upgrade? Part of our focus is to support deployments that have made a long term commitment to work with us. When we have new models, we work hard to provide them as an upgrade. This means that if you have today XO-1 or XO-1.5 laptops you can purchase an upgrade kit that will turn it into an XO-1.75. It does require that you perform the motherboard replacement, but the savings can be significant. With this upgrade you get a modern ARM CPU, much lower power consumption (it runs long hours on each battery charge, and performs fantastically well on solar panels). Depending on options, you can get larger RAM and storage. 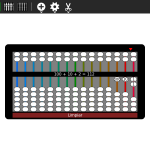 You can also choose to get the new grid membrane keyboard. If you are thinking of doing this, get in touch with us. If you know the SKU number of the laptops you have, which you can find in the battery compartment, that will make the process easier. For each variant of the XO you need a slightly different upgrade kit, so it is important that we get it right. Our engineers have done quite a bit of work to plan the different upgrade kits. Do you know of any laptop manufacturer that supports upgrading 5 year old models to the latest and greatest with a motherboard change, and at a fraction of the cost? At this time, there is a minimum order quantity of 100 kits. 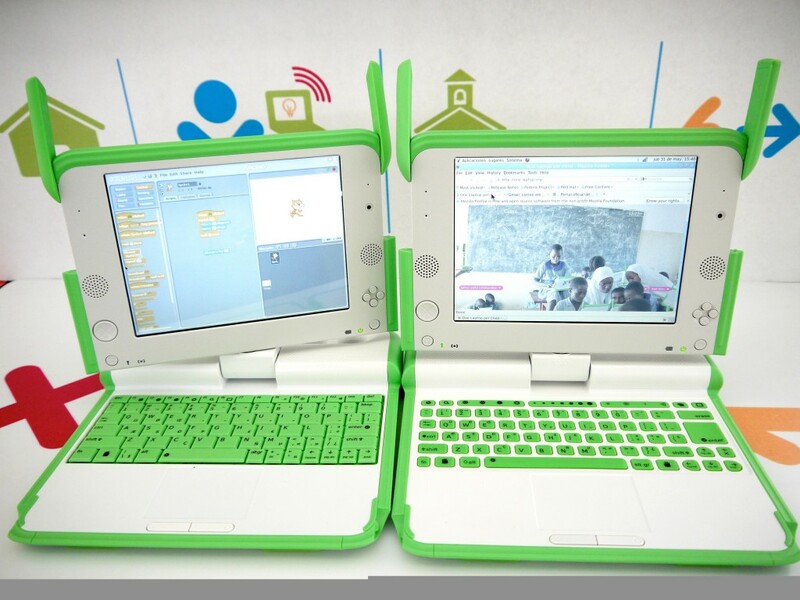 If you are interested in ordering 100 upgrade kits or more, please contact Leah@laptop.org at OLPC for further details. Make sure you indicate the SKU of the units you want to upgrade. Unfortunately, due to packing, shipping, customs and warranty logistics, OLPC is currently unable to offer upgrade kits for orders under 100 kits. The costs of shipping individual components packed properly is high. Order quantities of 1000 kits and larger can be processed faster and at lower cost. If you have an early XO laptop and would like to see it run better and faster, our latest Operating System release can give it a new life, see http://wiki.laptop.org/go/Release_notes/12.1.0 . We thank you for your interest in the OLPC project. Posted on September 4, 2012 October 2, 2012 Author giuliaCategories Laptops, OLPC, Technology, XOTags ARM CPU, OLPC, upgrade kit, XO-1, XO-1.5, xo-1.7517 Comments on Are you working with XO laptops that need an upgrade? We are pleased to announce the release of OLPC OS 11.3.1 for XO-1, XO-1.5 and as a formal stable release for XO-1.75. Features, known issues, and installation details are covered in the release notes. A heartfelt thanks to our many contributors, upstreams, testers, and other supporters. Comments and additional feedback are welcome on the devel mailing list; please download it and try it out. If you have been following the release candidate process in the last few weeks: this is candidate build 885, released as final with no changes. Mavrothal has been promoting PuppyLinux as a lightweight OS for the XO for a long time. Last year he began releasing polished “XOpup” builds, most recently XOpup 2.2 – providing the most light-weight desktop around for the XO-1 and XO-1.5. Recently he published a build system that lets anyone build their favorite Puppy-distro for the XO, and has used it to package the latest release: PuppyLinux Racy 5.1.110 (currently only for the XO-1). This 90MB build includes a softphone app, printing / camera / CD support, and the Mozilla Seamonkey suite (browser, HTML editing, email, newsfeeds, and IRC). He’s even taking feature requests for the build – give it a spin and let him know what you think. OLPC OS 11.2 is now out for both XO-1 and XO-1.5, along with some activity updates. Install it and check it out! This release is build on Fedora 14 and Sugar 0.92, which includes a feature I am especially fond of: a touchpad-mode selector. For those of you who miss being able to use the stylus-mode of the older dual-mode touchpads, this lets you toggle between stylus and capacitive modes. Solar charging has also been tweaked on the XO-1.5. While there was no 11.1 release this year, there are plans in the works for an 11.3 as well. If you have bundle updates or other fixes that didn’t get into 11.2, that’s the release for you. A huge thanks to everyone who has helped with developing and testing this release! Rwanda is rolling out a software and firmware update to the students and teachers in their current schools, as they prepare to deploy a new batch of XO-1.5s as they approach their 100K milestone. Project lead Nkubito Bakuramutsa gave a few interviews about the process, which started two weeks ago in southern Rwanda. The security update may also give them a chance to reflash their current machines to XOOS 11.2, which has improved solar charging performance and overall power management along with many speed and interface improvements. The planned expansion of their program will make Rwanda the largest OLPC deployment outside of South America, surpassing even the US and Mexico. Dextrose2, a revamp of the popular XOOS flavor developed by Activity Central and Sugar Labs, in partnership with Paraguay Educa, is now available for both XO-1 and XO-1.5 laptops. It has a number of performance and other improvements, including 3G modem and connection sharing. I can’t wait to try it out on my old XO-1s. This work is now formally supported by Plan Ceibal, which has started to use Dextrose in their schools. It is good to see this much attention being given to activity development and Spanish-language documentation, and to close feedback loops with teachers who use the latest tools every week with their students. So don’t wait — download a copy of Dextrose2 and try it out! NB: If you’re looking for the latest Dextrose with the Gnome desktop option added back in, you can request this on the sugar-devel mailing list. It’s on the list of versions to make, but not a high priority at the moment.